I had an interesting chat with Kristin Arnold of extraordinaryteam.com on CJOB Radio. We spoke about some biases that sabotage our thinking. 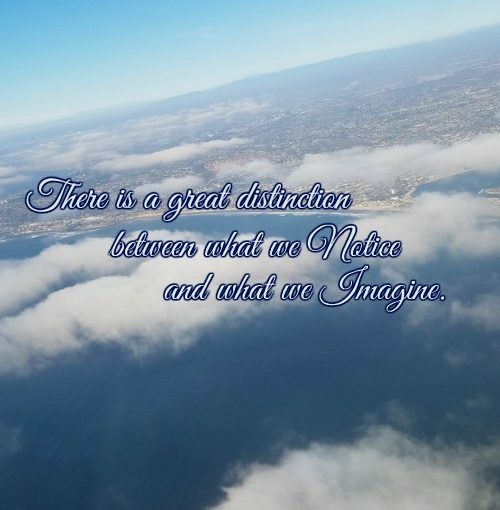 Kristin talked about the great distinction between what we notice and what we imagine. For example, we notice what someone is wearing, or what they said or what we saw them do, but we imagine a lot of other things – we make assumptions. The thing about making assumptions is that we are wrong 50% of the time and this is where we can get into trouble. Consider checking in to see if your assumptions are accurate or a little off base. This entry was posted in Blog, Personal Growth, Positivity, Success principles and tagged Blog, cjob, personal growth, Your Life Unlimited. Bookmark the permalink. Next Next post: What is your Beautiful Interruption?